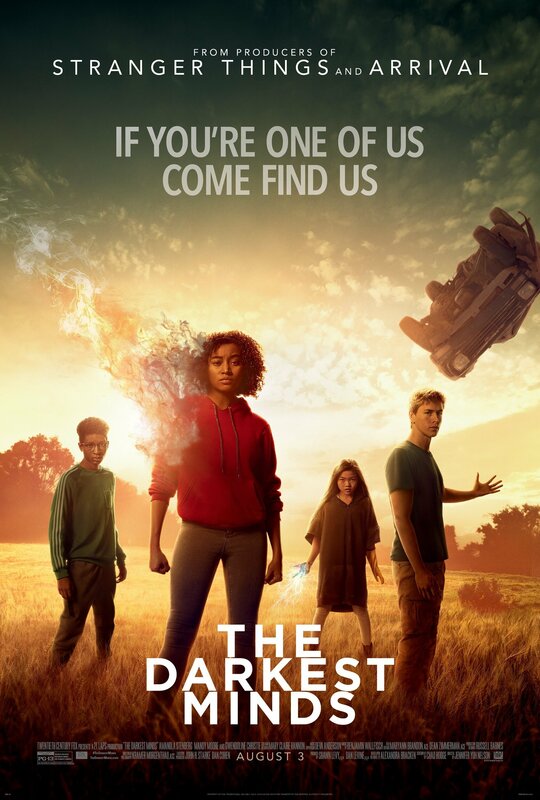 As an extension of the YA genre, that was much popular in the earlier 2000s (Harry Potter to Hunger Games Era) than it is now, The Darkest Minds is an enjoyable, steady and self-aware installment. The film stars the capable YA veteran Amandla Sternberg (Ruby), with a supporting cast just as eager. The movie boasts just the right amount of emotion, characterisation and actiony superpowery stuff. It is a more than satisfying dose of science fiction action-adventure any fan of the genre needs. It could've easily been boring and corny but they managed to make it interesting enough to capture our devout attention throughout, as we follow a group of teens initiate an uprising against the corrupt and dangerous powers that be. As per any other YA sci-fi, "special" young adults are isolated, set to be manipulated by an evil organisation for its own gains. Here, a virus spreads throughout the world wiping out up to 90% of persons under the age of 17. The young survivors of the attack mysteriously gain special abilities and are thereafter captured and divided into colour-based groups according to their abilities (super intelligence, telekinesis, etc.) Ruby is a rare breed, Orange, that is deemed dangerous by the government, and should be wiped out at contact. This is where the movie truly unfolds as we see the young Ruby on a journey of freedom from the real world and the damage inside of herself. Sure the plot and accompanying subplots are infested by shopworn genre tropes, because teenage romance and willful teen angst, right? But, as I've said before, fans of the genre will be satisfied with this movies. Though it brings nothing new to the table since similar teenages sagas such as your Maze Runners, Divergents and Hunger Games, a teenage uprising against a powerful organisation/goverment is enough to keep your juices pumping for the most part of the movie's almost two-hour runtime. And the Darkest Minds does so tactically and quirkily enough to have a lasting impression among the OGs. I personally enjoyed Tha Darkest Minds. I was especially impressed by how self-aware the film was—that it is yet another installment in the genre trying to keep teens and fans alike entertained the same way Justin Bieber or One Direction (R.I.P) do with their hordes of fans. Nothing more fulfilling than a popcorn movie that takes its entertainment value as serious as it should.